The Feast of the Immaculate Conception, December 8th. 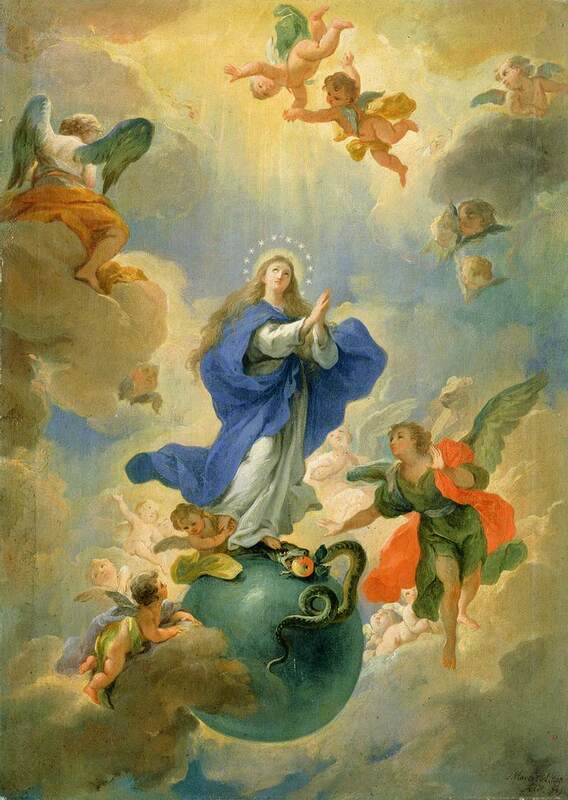 Bartolome Esteban Murillo painted several versions of The Immaculate Conception–I like this one the best. The United States Bishops consecrated the nation to the Immaculate Conception in 1954. 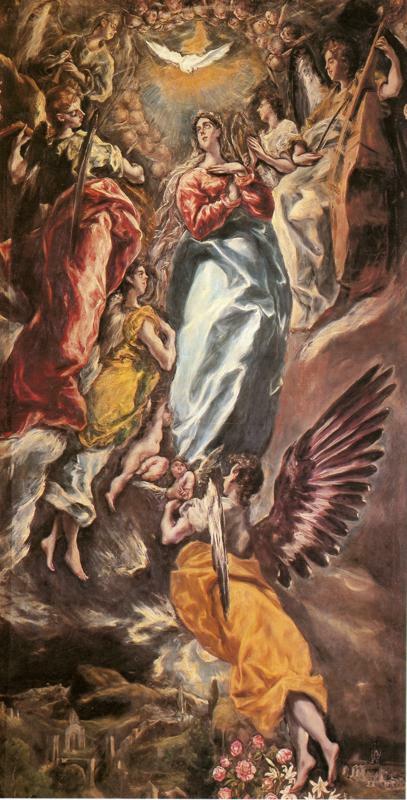 Piola fills his painting with the salvation story: The sinless daughter, crowned by God the Father with stars as Queen of the Universe; Eve, with the apple of temptation, is overshadowed Mary, full of grave; Satan defeated by the cross of Christ’s crucifixion. 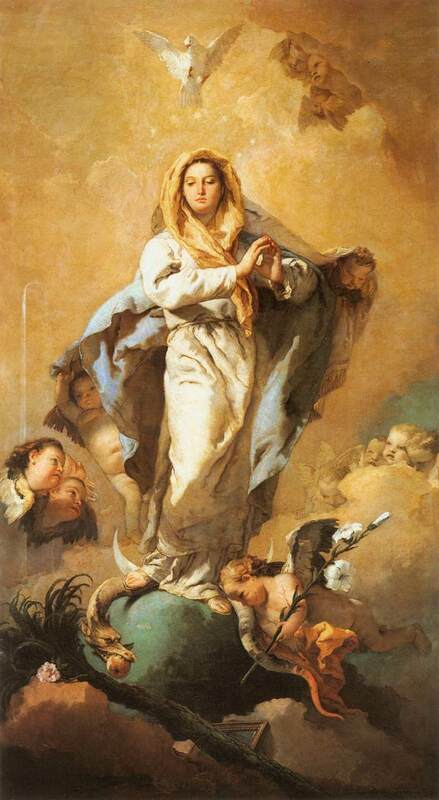 Tiepolo’s enigmatic Immaculate Conception is a favorite, the expression seems to communicate an intense awareness of the sorrow and joy to come–and the solemnity of the eternal significance. Jose Ribera’s grand and flourished Virgin foreshadows her title Mother of the Church, as she stands above the dome of St. Peter’s Basilica. In Martino Altomonte painting, the action of conception takes place in the heavens, Mary, free of original sin, stands upon the earth, crushing the head of the dragon and the apple of temptation, his tail entwines the world. Velasquez’ Virgin stands in dark endless cosmos…on a rising moon, crowned with stars, her presence illumines the world that awaits her intercession. Zurbaran’s Immaculate Conception crushes the dragon-headed snake with its sin-poisoned apple.